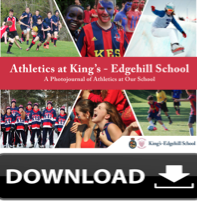 King's-Edgehill School | Junior Girls’ Soccer: We Work Hard, We Have Fun! Our Junior Girls’ Soccer Team had the opportunity to compete in the 2018 CAIS U15 Soccer Tournament, hosted from September 27-30 by Halifax Grammar School and Armbrae Academy. The tournament welcomed teams from across the country, including two schools from Victoria, BC, three from Ontario, and four from Montreal. The competition was strong but our opponents were well-matched, and in each of the seven games played, our team was challenged and always “in the game”. Above and beyond the impressive level of play, a true highlight was seeing the girls socialize with players from across the country, striking up conversations with one another at the hotel, restaurant, and on the sidelines of the fields. We didn’t come away with a win, but we did learn a great deal about positioning on the field and came out a more aggressive, and much improved team. The playing experience gained at the CAIS Tournament, combined with spending time together, has strengthened us as a unit and will allow us to take our game to the next level back on home turf. Watch out for this determined roster of twenty as they finish their season and fight for a playoff position!